Discussion in 'BigBox General Chat' started by UlrichKliegis, Sep 21, 2015. From the images and the description, I am not sure if there is a cooling fan to keep the just extruded surface cool. Is some provision made to add some sort of cooling air? A place to mount it? I am not talking of the E3D V6 cooler! Don't you mean that fan on the left hand side in this picture? I believe it was indicated during the campaign that they are switching over to a fan more like this one. As Colin rightly points out, we've moved to the more powerful blower fans. 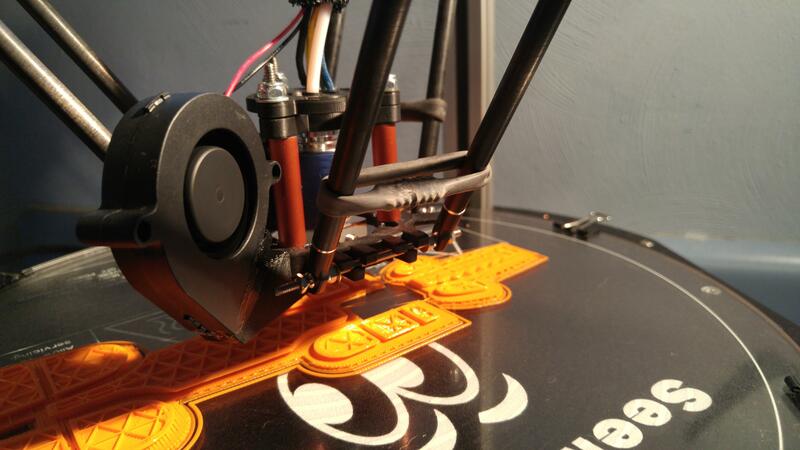 They have much more air pushing power and are a more convenient form factor for fitting on the print head.